Have you never had to endure a child learning to play the clarinet? It’s pretty awful. It sounds more like a person strangling a duck than anything close to actual music. But that goes with any musical instrument, doesn’t it? 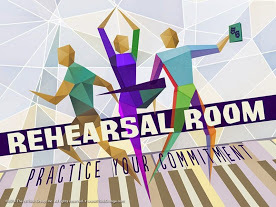 To become great at playing an instrument, you need to practice … to rehearse. You need to commit to sticking with it even when you don’t feel like it. Maybe you’re not really a “music person.” Maybe your interest involves the soccer field or basketball court. Or maybe you find yourself at home on the stage acting or dancing. Whatever your “thing,” you know firsthand that in order to get better—to master your sport or hone your craft—you have to put in the work and practice, practice, practice. The same is also true for faith. It takes practice to grow and mature in your relationship with God. It takes commitment. That’s why we’re spending the whole month of January to discover how commitment can show up in our lives as we practice our faith. Commitment is making a plan and putting it into practice. In Week One, we’ll look at the word Hear. We want kids to learn how to hear from God as they listen to what Jesus said, listen to God’s Word, and His Holy Spirit. For the first week of commitment, kids will focus on navigating and personalizing Scripture as they look at the familiar parable of the wise and foolish builders found in Matthew 7:24-27. Our Bottom Line is: Practice hearing what God says. We can’t do what God says until we know what God says, and that begins with listening to God. For Week Two, we’ll discover more about what it means to Pray. We want kids to understand that praying is an important part of growing in their faith. They can pray knowing that God knows them and wants to hear from them. They can pray with gratitude and honesty; pray for their needs and for forgiveness. They can pray anytime, anywhere because God is always listening. That’s why we’ll look more closely at Luke 11:1-4 and the way Jesus taught His followers how to pray in the Lord’s Prayer. Our Bottom Line is: Practice praying to God. We hope kids will come to believe that they can share anything with God. There’s nothing too big or too small for Him to handle. Our faith skill for Week Three is Talk. We can actually get to know God better by talking about Him with others. But this isn’t just about talking about Jesus with people who don’t know Him yet. There’s also another important aspect of talking about God. As kids process their growing faith, they will have questions and doubts. We want kids to know that they can talk about God and work through their questions with others who also believe in Jesus. We’ll spend time in Matthew 16:13-20 and look at the moment when Peter declared what he believed about Jesus in front of all the disciples. Our Bottom Line is: Practice talking about God. We can all share our story of faith with confidence knowing that Jesus is who He said He is. We’ll wrap up the month with the faith skill Live. We know that most kids love to sing and worship God. But worship isn’t just something we do when we sing at church; worship is really how we honor God with our whole lives—through how we love others and serve them, and how we obey and praise God, or how we make time to rest. “Live”is also about giving of our time, money, and talents. That’s why we’re looking at the story of the widow’s offering in Mark 12:41-44. There were people giving lots of money, but Jesus knew that the two coins the widow gave meant more because they were everything she had. Our Bottom Line is: Practice living for God. We hope kids realize they can worship God every day with whatever they’re doing, no matter what they have. During the month, we’ll memorize a great verse that reminds us about the importance of making a commitment to practice our faith. 1 Timothy 4:8a says: “Training the body has some value. But being godly has value in every way.” When we commit to practicing our faith and follow through on our plan, we’ll grow in such a way that will impact our entire lives. Remember, as we unpack these four faith skills, not only this month but every week in Small Group and at home, we’re giving kids an opportunity to develop these skills over time so when they grow older, they will understand what it means to be the church, and understand how to work, live, and move in their relationship with Jesus Christ. We can’t wait to see what God will do in the lives of kids and families this month as we commit to practice our faith and grow in our relationship with God. For the January Elementary Student Parent Cue, click here! As of you may know, WordServe has been involved in an on-going construction project called Habitat for Huggins which is aimed at helping a local family whose home was in need of much repair and re-building. A couple of weeks ago, WordServe had a service day to put in insulation at the house, and then later that weekend, WordServe Youth built a playhouse for the family’s children. This weekend project was a perfect picture of the body of Christ coming together, with its many unique and special parts, to work together in unity for a common purpose. One of our WordServe servants, Pam Gdanski, shared a powerful testimony about her experience helping the Youth build the playhouse. “One thing that stood out more than anything was Rick Gdanski working with one of the family’s younger sons. Before Rick ever did started working this project, he first showed the boy what he was doing, walked him through how to do the job, then had him complete the task himself, with Rick guiding him the whole time. The boy was right there with him soaking in everything Rick was telling him. Rick was so patient with him too, and involved him in the conversation and the decisions that were made about the playhouse we were building. I noticed how respectful the boy was with Rick and how much he watched his every move. I loved seeing Rick model this behavior for the young boy and teach him valuable life lessons! I’m sure the young boy will forever remember the patient, loving instruction given by Rick. Even though the task might have been completed faster on his own, Rick saw the value in providing a teachable moment for the young boy, giving him ownership and pride in the project. Not only did the children end up with an awesome new playhouse, but they were able to experience the joy spread by the servants there, and vice versa! WordServe’s next Habitat for Huggins workday is on October 25. You can sign up to serve by clicking here. We hope to see you there! You won’t regret being involved in such an incredible demonstration of Christ’s love! As Nolan pointed out in one of his recent sermons, sometimes our gifting finds itself a very obvious place in which to serve, and other times, we serve primarily because there is a need that must be met for the body of Christ to function properly. This week’s Spotlight Servant, Cindy Haas, uses her specific, God-given talents and abilities not just because the duties of her areas must to get done, but because she’s really, really good at those jobs! Cindy wears many hats at WordServe: she serves in the areas of Administration & Communications, coordinates the Prayer Team, and also sings on the Worship Team. 1) Why do you serve (in general)? I have had a passion to serve the Lord in whatever way possible for years. It was a “dream” to do so after recommitting my life to Christ in September of 1983. What better way to serve the Lord than with the talents He gave me that I used for my vocation. When our children were in Junior High and High School, I was a busy stay-at-home mom – doing the chauffeur thing and all that – but I was also involved with serving in the church we were attending by doing the weekly newsletters and also serving as the Rank and Advancement Chair with the Boy Scout Troop affiliated with our church. 2) Why do you serve specifically in Admin/Communications/Prayer Team? I worked as administrative support in the secular world for years and always seemed to be in the right place at the right time to learn new skills. I give God the credit for all that. 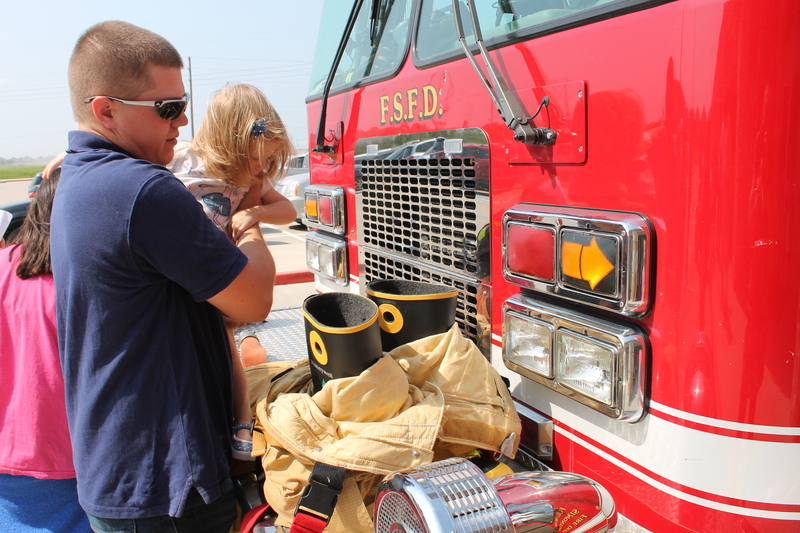 In 1999, we moved to the Katy area and a career opportunity presented itself. I was employed by our church we were attending. It was wonderful–using my social skills, along with my administrative skills–to be where I knew I was performing tasks for the Lord as I had always wanted to do. Due to various factors, I decided to retire. Since making that decision, I have begun to serve our church, continuing to do the things I have always enjoyed. And along the way, God has added a new passion to my list as a part of the Prayer Team, and more specifically the Prayer Altar Team of WordServe. God has been so good to me over the years, the least I can do is serve Him however He sees fit. 3) How do you stay joyful in serving? The Word says in Ephesians 6:7-8 that we should 7 Serve wholeheartedly, as if you were serving the Lord, not people, 8 because you know that the Lord will reward each one for whatever good they do. I have always followed this text as encouragement to honor my bosses as I would with the Lord as my ultimate boss. It is truly a joy to serve Him, being a part of the functioning church body, doing His will according to His plan. 4) How do you see lives being made different in your area? As I take inventory of the tasks that I am performing at WordServe, I know that these are vital components in the scheme of things. Using my administrative skills, I offer support in posting attendance, writing notes to prospects, making weekly copies of programs, as well as mailings and other things deemed as necessary. These things offer support to the staff and allow them to be focused on more pressing matters. Besides, it allows me to serve on behind-the-scene tasks that I enjoy doing to keep WordServe functioning as necessary. Communication through the weekly E-news is a great way to allow everyone to connect with what is happening at WordServe. It gives important information and connects viewers to links to obtain in-depth information and to sign up for events. The compassion events can be life-changing for everyone – for the recipients and for the person signing up to serve. Other events can be growth-focused and can help us become joyful servants of Jesus. The Prayer Team and Prayer Altar Team shows compassion for others by going to God regarding the concerns and needs of others. After all of the praises and prayer requests from the week have been compiled, they are distributed to our Prayer Team to be prayed over for the week. Prayers for the team include personal praise reports and requests, as well as prayers for the Church body. The Prayer Altar Team is available to everyone on worship service days. Of course, all prayers, whether written or spoken, are handled in confidence and are not discussed with anyone, even on these teams. As a team, we encourage others to grow in their faith and draw closer to God, and we can see Him work in their lives, making them different. 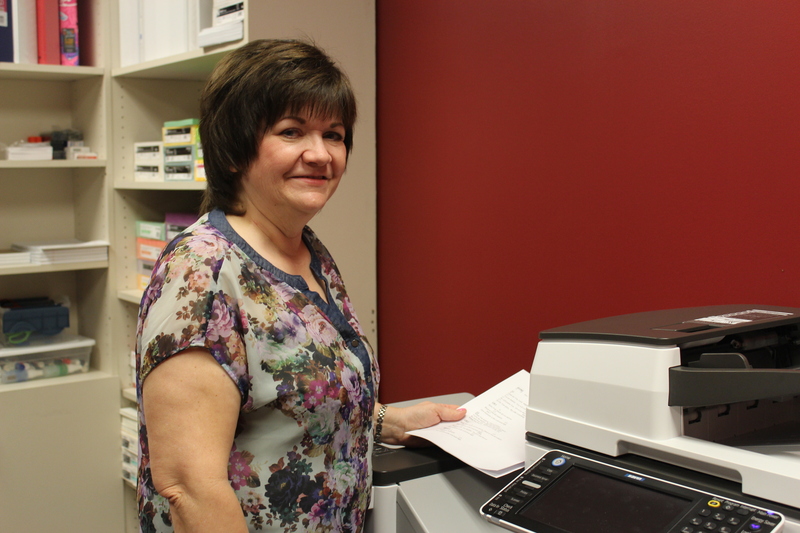 Cindy certainly gives God all the credit for the incredible ways she is being used at WordServe. Without her willingness to use her skills and talents, communication between WordServe and its congregation would fall short. If you feel that you have a similar skills-set as Cindy or have a passion for prayer , sign up for the Administration/Communications Team or Prayer Team today! Meeting someone for the first time can be awkward. Both people involved probably have all kinds of questions and insecurities running through their minds: What do I say? What if I forget his name? Will she like me? Do I have a piece of food in my teeth? Moreover, going to a new church and meeting a whole bunch of people for the first time can be intimidating and uncomfortable. Thankfully, awkward and scary first introductions are non-existent at WordServe, largely due to our awesome Welcome and Greeter team. These hospitable, friendly folks lovingly ensure that guests and members of WordServe feel like they belong every Sunday morning. 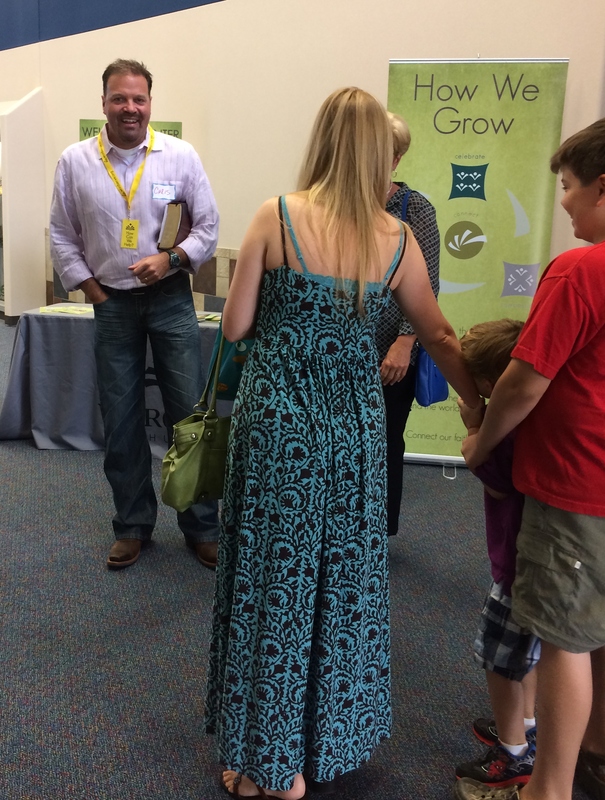 Chris Roberts, one of our faithful greeters, never fails to offer a smile, an encouraging word, and a big ol’ bear hug–only if you want one, though! It’s part of what we’re called to do–to give of our time and resources. It helps to connect two pieces of WordServe’s overarching strategy: the Serve element of Compassion and the foundation of relationships that make up Community. Why do you serve on the greeter team? I serve on the greeter team because God has given me the gift of hospitality. While I don’t possess the skills to operate”our Mike’s” set of power tools, I feel I have something to offer in this area. At a high level, I enjoy the challenge of building relationship bridges. I also enjoy the camaraderie of the Team and the selflessness that everyone exhibits. That selflessness is prevalent in the challenges of coordinating pretty dynamic schedules, but always done with a lens of grace, and a “let me help” attitude. Pretty amazing group. How do you stay joyful? Even though I fall short of “staying joyful” 24/7 or even 12/7, I think greeting someone with a smile, or better yet a hug, has a tendency to help us focus on the positives every day. I also want to be sure that we’re putting our best effort toward making a warm and genuine first impression to those who may not know WordServe (especially if their default positions may lean toward cynicism), to show them genuine transparency, and demonstrate how Life is Different at WordServe. I might also add, it’s easy to stay joyful when the leadership of this committee, past and present, is so committed to making it a success. 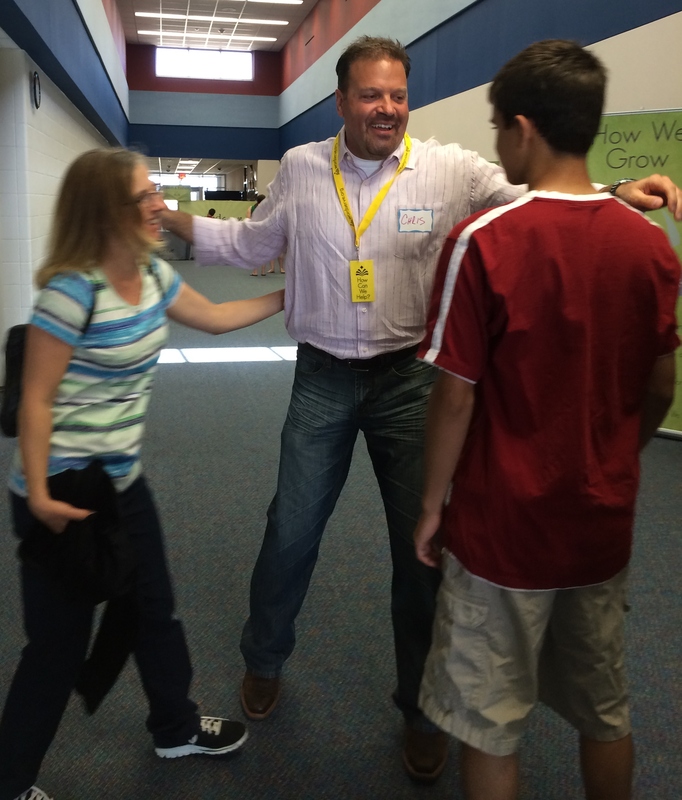 How do you see lives being made different by what you do on the Greeter team? I ultimately hope I’m making a small difference, but how I quantify that is really not up to me to fully understand or measure. By the way, there are lots of folks at WordServe doing much more, especially from a time commitment. At the end of the day, I want to do my part. Some days, that means one more link towards building a vibrant relationship. Other days, that’s somebody walking up to me and giving me a hug first! Thanks to Chris and our other greeters for welcoming every person with kindness and a smile! This week’s portrait of a servant features Bill Beck, who serves the WordServe Youth Group. 1. Why do you serve? I serve because I feel God calls us all to serve and He has blessed me with the ability and the means to serve. I feel blessed by serving and experience a deep joy that seems to come from a fulfilled sense of purpose as a joyful servant. I believe that Jesus first served me well before I was born; the price He paid, I can never truly payback…but I can at least serve joyfully in full gratitude. 2. Why do you serve on this team (WordServe Youth)? I find that probably the most fulfilled sense of purpose I experience is with WordServe Youth. I grew up without any real male role model – except Robert Reed who played the role of Mike Brady on “The Brady Bunch,” but I doubt his character truly sustained me. Also, he couldn’t answer my questions, he couldn’t affirm me when I doubted myself, and most certainly, he didn’t know me or the enormous fears I had. That said, I believe God specially built me to minister to today’s youth. I enjoy a similar role as an Assistant Scoutmaster with the Boy Scouts. I also like to hear how the younger generations think about and solve problems and how they pursue their faith in their highly dynamic junior high school and high school lives. I like to help them access God through His printed Word, shared experiences, and mentorship. In short, I like being a positive role model for them because I so missed it as a young man and fundamentally, I guess it’s like me saying that our youth will not be absent a positive male role model on my watch! 3. How do you stay joyful? I also like to pray quietly. I find that as my relationship grows with God, I am fulfilled and joyful. I’m not sure if it’s confident faith as I sometimes feel like I struggle with being confidently faithful, but maybe I’m more confident than I think? Hmmm. Hadn’t really thought about that too much. 4. How do you see lives being made different because of what you’re doing (via WordServe Youth)? I think about the love the guys share with me as we get to know one another. I think about this past Winter Retreat, when we all grew a bit closer together. I think about an example I shared with my Retreat Family–that like a character we studied from historic England who claimed he would “crawl across eastern Europe” to lead non-believers to Christ, I pray that I’d be so strong that I’d do that for them. I’d do it not so much because I’m that dedicated and committed to their faith, but because God set the example by reaching out to me, having sacrificed infinitely more for my salvation. How could I not do the same and call myself a positive male role model? The answer is I cannot with any degree of integrity. So, my life is different in that I’m actually able to be a physical manifestation of a positive male role model for the One who was my only true role model. And that is a VERY different life, indeed! Perhaps you feel a similar calling to be a positive influence in the lives of youth or desire to teach them how to apply faith to their everyday lives. WordServe Youth would love to have you! There is always a need for Supper Servants (responsible for setting up dinner and collecting money), Small Group leaders (who lead discussions based on the evening’s lesson and pray with the students), and chaperones/drivers for various special events. Maybe you are gifted in leading silly, messy games–if so, God can use you even in that! As we can see from Bill’s example of service, all it takes is a willing, open heart to truly demonstrate Christ’s love to teenagers! If you would like more information about serving in WordServe Youth, contact Nolan at ndonald@wordserve.org. We would love to have you! Craig Brandenberger is one of our faithful WordServe Kids servants who regularly helps out in the toddler/preschool areas. He graciously shared a little bit about why he loves serving in WordServe Kids. I serve partly because I feel an obligation as a Child of God to train others in a Christian manner. I also serve because I want to become integrated into the church in a functional way. Why do you serve on this team? I serve on this team because I enjoy the energy and overabundance of joyful attitude from the kids. They are so enjoyable to work with! Also, the team itself is very open and willingly accepts new servants. I stay joyful because I feel like a part of a team– like I belong there–working with the kids. How do you see lives being made different because of what you’re doing? I see lives being formed and molded rather than being made different due to working with kids; I see the changes from how the preschoolers worship to how the toddlers interact with each other. 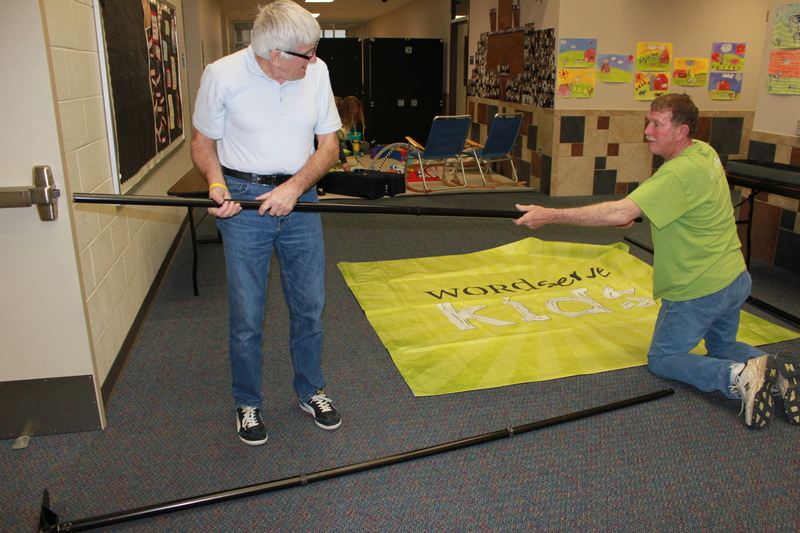 The servants who give their time and energy to WordServe Kids make a real difference. There is so much fruit that can be seen in WordServe Kids–from children learning to pray, to reading the Bible for the first time, to developing a lifestyle of service and heart for people who don’t know God. There are five different age groups in which to serve: Nursery (birth-walking), Walkers and Toddlers (1-2 years and walking), Preschool (3 to 5 years), Kindergarten and First grade, and 2nd-5th grade. We also need servants to greet and check-in children at the Welcome Table. The foundation these kids are building in WordServe Kids is of eternal value. Will you join in? Franjo – a joyful servant! This week’s portrait of a joyful servant is Franjo Prpic. Franjo is originally from Croatia and is a spritely 70+ years young. He chooses to serve in the WordServe Setup and Tear Down team. WordServe is a portable church, which means everything one sees on Sunday morning has to be brought out of a storage shed and setup before anything else can happen. Without this vital team, there would be no service, no WordServe kids, and no place to put donuts! Similarly, the team stays after the service to take down our portable church, put it back in the trailer, and store it away until next week. He will have the biggest smile and warmest greeting of anyone on the team! The first word that comes to mind for Franjo is “fun!” Franjo truly enjoys getting together with other members of the team, seeing the smiles on their faces, and of course, going for donuts together after setup is complete! 2. Why do you serve on this team? Franjo started serving with setup and tear down because he was invited to served and because he recognized a need. So he asked, “Why not me?” Franjo realizes the importance of this team: if setup doesn’t happen, nothing else happens on Sunday morning. After joining the team, he has found joy in serving, and knows that the team is excellent at what they do. He is glad to be a part of it, especially as he sees others coming to church on Sundays. Franjo says, “It’s not hard to stay joyful in our living church! I am only a reflection of what I see around me!” In this regard, Franjo is the ideal portrait of what happens when people who love Christ come together for a common task. In other words, it’s not just about the job… it’s about a joyful community. 4. How do you see lives being made different because of what you’re doing? Franjo is quick to point out that lives are being made different because of one thing only: Jesus. He describes Christ as his guidance, inspiration, and leader… for ever and ever! There is one final thing Franjo would like you to know: he loves you all! Thanks Franjo, for your dedicated and joyful service. You truly guide others to grow as joyful servants of Jesus! 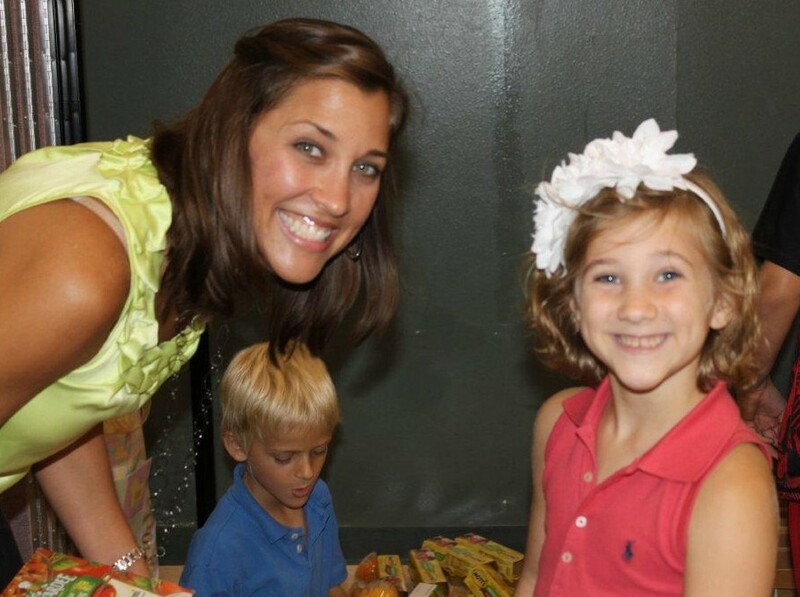 This week’s joyful servant of Jesus is Rachel Dillon, from WordServe’s Compassion Team. Our Compassion Team is the one that reaches outside our walls to share Jesus’ love with the world through serving the community, both locally and globally. Rachel runs a growing program called “FaithFULL Kids” that helps kids on free or reduced lunch programs at Huggins Elementary School make sure they have enough to eat when they’re not in school. Imagine what weekends, holidays, and especially summer break might look like for these little ones… with no guarantees for a steady supply of food. Thankfully, Rachel and the FaithFULL Kids servants provide not only food to fill their stomachs, but love and encouragement as well. Rachel’s heart for children and her desire to take action have propelled FaithFULL kids into a life-changing ministry for both kids and volunteers alike. Rachel truly represents a joyful servant of Jesus who also guides others to grow in their faith and in their service. I originally started serving because I thought it would be good to help others. I continue to serve because of the indescribable joy it brings to all involved, recipients and servants alike! 2. Why do you serve on the Compassion Team? I have been blessed by the Grace of God more than I could ever deserve. I serve in the Compassion area because my heart aches for people who struggle. I know that I alone cannot fix or change other people’s circumstances, but I can show someone they are important, loved, and needed. I can be a helping hand to lighten someone else’s load or a glimmer of hope that our current circumstances are only temporary. How do you not stay joyful in serving? I love meeting new people with new enthusiasm for a cause. I love knowing that what I am doing makes someone’s day brighter and easier. But most importantly, I know serving makes God smile! 4. How do you see lives being made different because of your service? 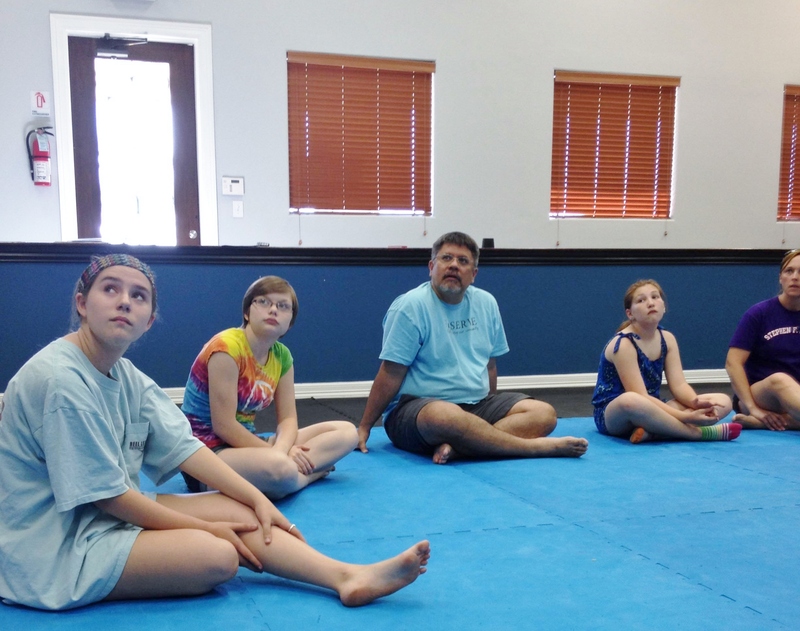 By serving with my family, I see a difference in my daughters. They look for ways to raise money for different organizations, instead of raising money for toys or treats for themselves. They also take ownership of the projects we serve on and find ways to lead, such as preparing the stations at FaithFULL Kids, getting servants signed in, and inviting their friends to join them. I also see the recipients of FaithFULL Kids’ lives changing because they have shared that receiving the extra food not only helps fill their tummies, but also lets them know others care for them, are praying for them, and want to see them succeed. Rachel is one of many joyful servants of Jesus at WordServe Church. If you would like to serve with WordServe’s Compassion team, visit wordserve.org/serve and sign up today! If you’re not sure if the Compassion Team is right for you, stay tuned for more to come!!! Almost a year ago, WordServe adopted Huggins Elementary, partnering with the administration and staff to meet the needs of the school and positively impact the community surrounding it. Throughout the year, we have been able to bless teachers of Huggins in very tangible, practical ways that make their classrooms warm, welcoming environments for students. 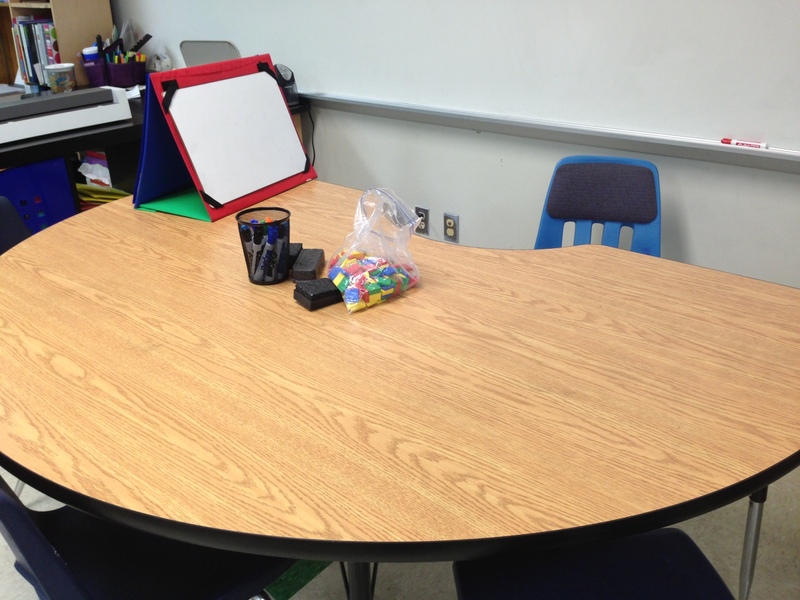 Most recently, we were able to purchase three “kidney” tables that went to the reading facilitator, the math facilitator, and a 2nd grade teacher. What is a “kidney” table, you ask? Well, basically, it’s a side table with a kidney or horseshoe shaped top. How true–your prayers and support of Huggins is making a huge impact in the lives of students, teachers, and staff. We are so thankful for the ways God is opening doors to serve Huggins Elementary. Right now, say a quick prayer that the kidney tables would continue to enhance student learning and foster healthy relationships between students and teachers.